Often there’s a fine line between follow-through and obsession. Part of what makes the difference lies in how aware you are of unconscious motives and hidden impulses, and how you use power — including the power of your emotions. If your emotions are intensifying, remember to keep one eye on your longer-term goals. Today’s Birthdays: Walter Scott (1771-1832), E. Nesbit (1858-1924), Samuel Coleridge-Taylor (1875-1912), Ethel Barrymore (1879-1959), Edna Ferber (1885-1968), Louis De Broglie (1892-1987), Julia Child (1912-2004), Oscar Peterson (1925-2007), Bobby Byrd (1934-2007), Maxine Waters (1938), Stieg Larsson (1954), Debra Messing (1968), Anthony Anderson (1970), Ben Affleck (1972), Jennifer Lawrence (1990). Moon Phase: Moon is in Last Quarter phase and enters Balsamic (waning crescent) phase on Aug. 18 at 2:50 am PDT / 5:50 am EDT (09:50:22 UTC). Next New Moon is in Leo on Aug. 21 at 11:30 am PDT / 2:30 pm EDT (18:30:06 UTC). Moon Sign: Moon is in Taurus and enters Gemini today at 7:06 am PDT / 10:06 am EDT (14:05:58 UTC). Moon enters Gemini at 7:06 am PDT / 10:06 am EDT (14:05:58 UTC). — Venus opposite Pluto at 4:17 am PDT / 7:17 am EDT (11:17:06 UTC). — Vesta opposite Neptune at 6:50 am PDT / 9:50 am EDT (13:50:02 UTC), and Teharonhiawako at 10:23 am PDT / 1:23 pm EDT (17:22:40 UTC). — Vesta sesquiquadrate Uranus at 9:46 am PDT / 12:46 pm EDT (16:46:19 UTC). Mars and the Sun are streaking through your sign, on course for a rare total solar eclipse that takes place Monday, Aug. 21. You would have to be living in a cave under a rock on another planet not to know about this, though you may have questions about what it means for you. Simply stated, it’s time to take hold of your life and live as if it’s your own. 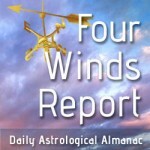 If you’re tuning into the astrology, you’ll probably feel a bit daunted by the possibilities and also by your desire to stretch, grow and, in general, change things up. You had best think big, since it’s rare to have this kind of leverage point, where you can actually attain a degree of progress that truly makes a difference. The more you cooperate, the more creative and less destructive this will feel. Yet no matter what there is the necessary component of letting go of elements of the past — which you will not miss. You are in transition, so give yourself space to experiment and explore. It’s simply not necessary to live based on some tangible concrete plan. It does make sense to stay in contact with your desires and your feelings, though accounting for the constantly changing environment. Set big goals, and work toward them every day — being flexible about it. Often there’s a fine line between follow-through and obsession. Part of what makes the difference lies in how aware you are of unconscious motives and hidden impulses, and how you use power — including the power of your emotions. With Venus in Cancer opposite Pluto in Capricorn today (and both square Jupiter), the more open and constructive you can be about what’s going on under the surface of a relationship, the better you’ll be able to use the considerable energy that’s now available for positive change. We’re in the alchemical space between eclipses. If your emotions are intensifying (especially love or lust), remember to keep one eye on your longer-term goals and the steps to get there. 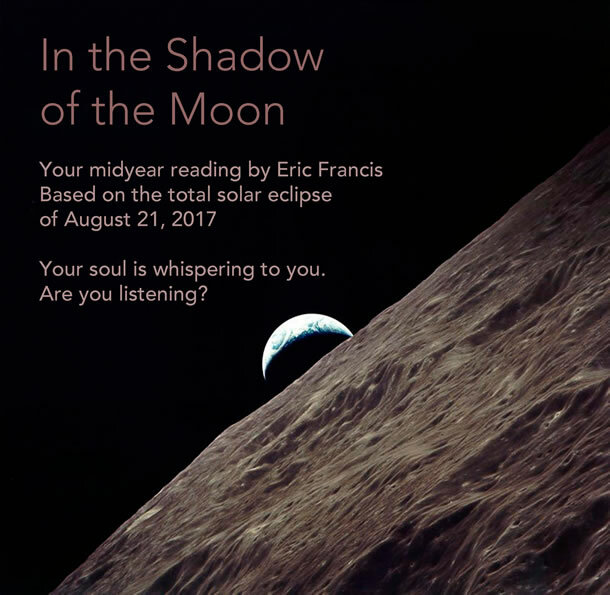 In the Shadow of the Moon, the exciting 2017 Midyear Reading by Eric Francis, has just been published. The video readings for all 12 signs cover the Great American Eclipse of Aug. 21 and well beyond. We’ll be increasing the price again very soon, so don’t hesitate to order your copy here. You can also now choose your individual signs here. To the Leo Eclipse and Beyond! 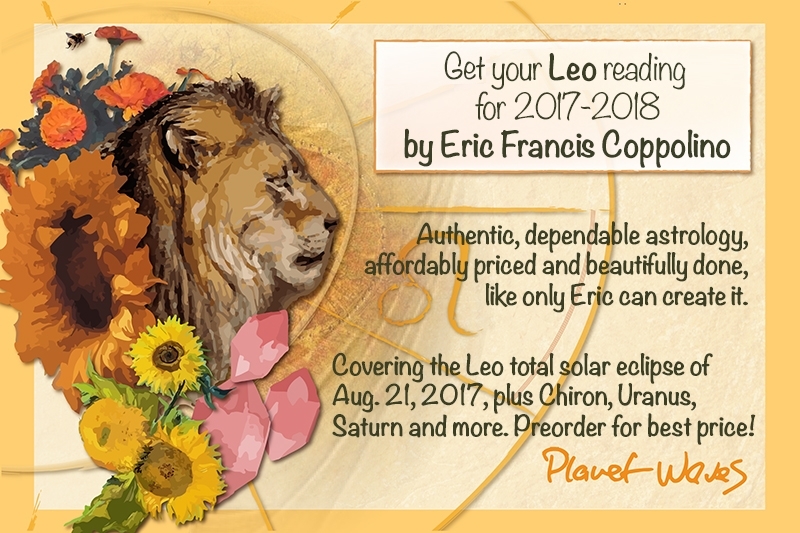 On Aug. 21, a total solar eclipse in Leo signals the second stage of whatever life-shifting process you’re engaged with.